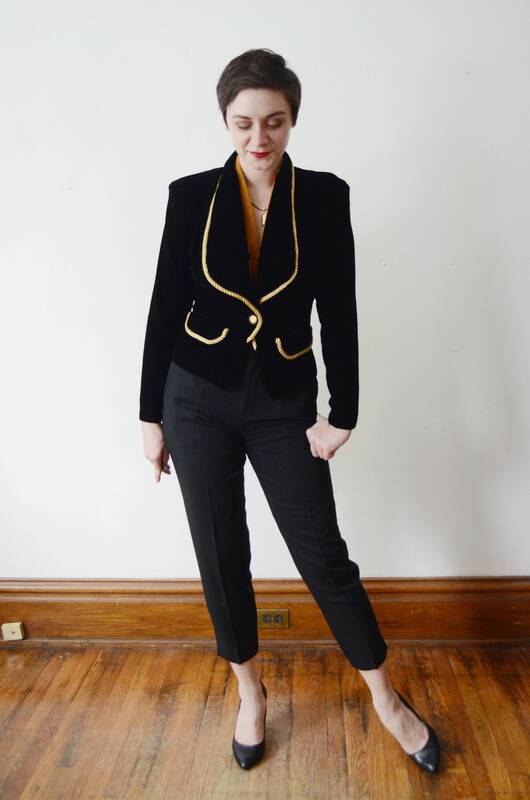 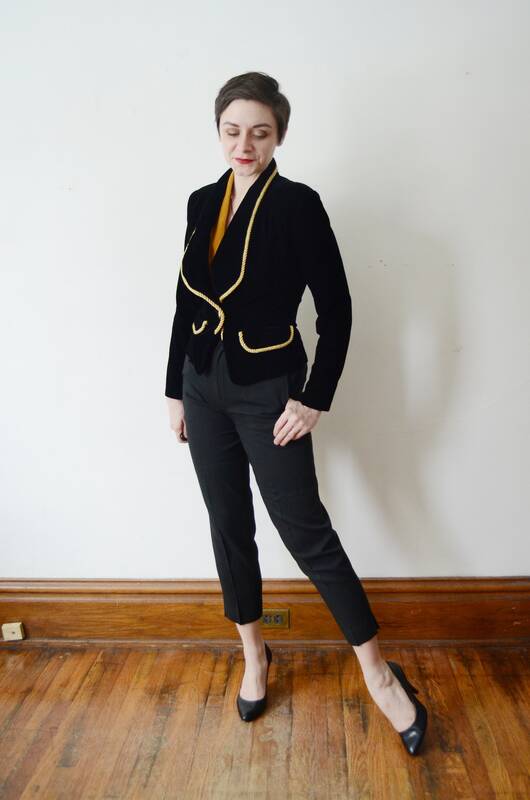 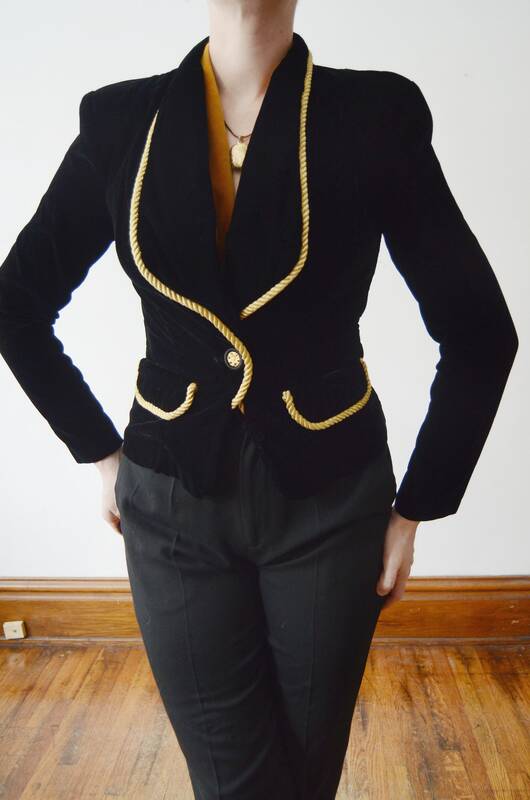 Description: Plush black velvet blazer with gold rope piping. 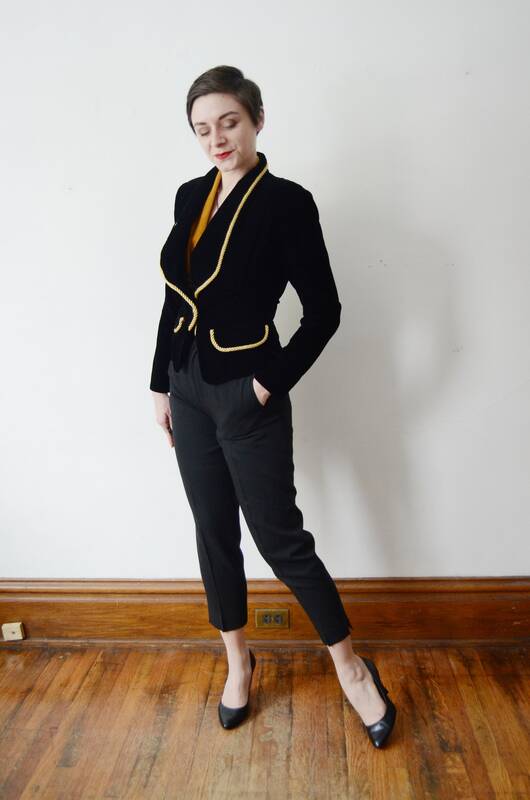 Has shoulder pads, and one button at the waist. 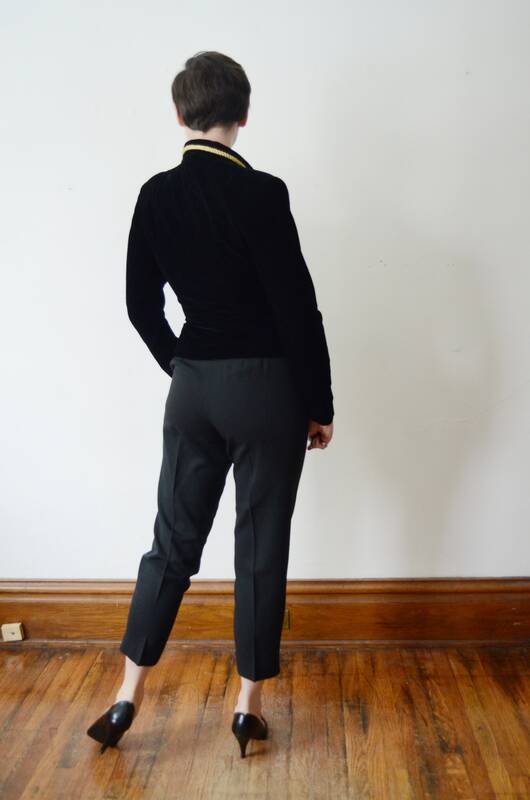 Fabric: Acetate, Nylon, rayon blend velvet.